If your organization uses Microsoft Exchange and Outlook and your credentials have been synced with Connect Client you may see Events notification appear in the Dashboard. 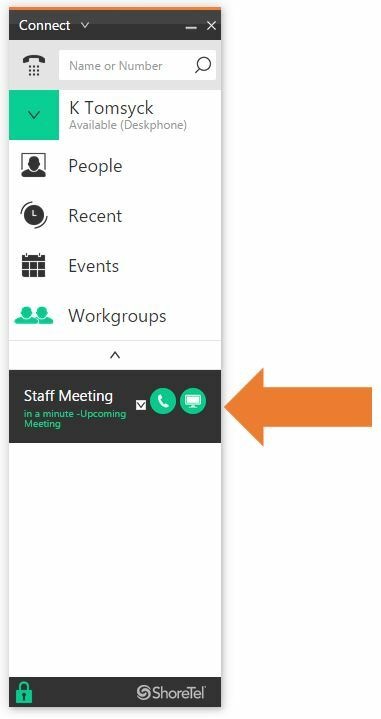 These notify you of meetings that are about to begin, that are listed in Connect Client Events and provide dial in and join meeting buttons for you to join the meeting from the Connect Client Dashboard. 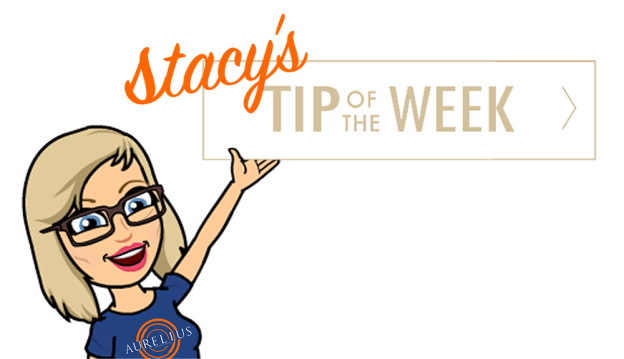 Note that you may also see a third button for video, this is only available if you have been enabled from multipoint video. 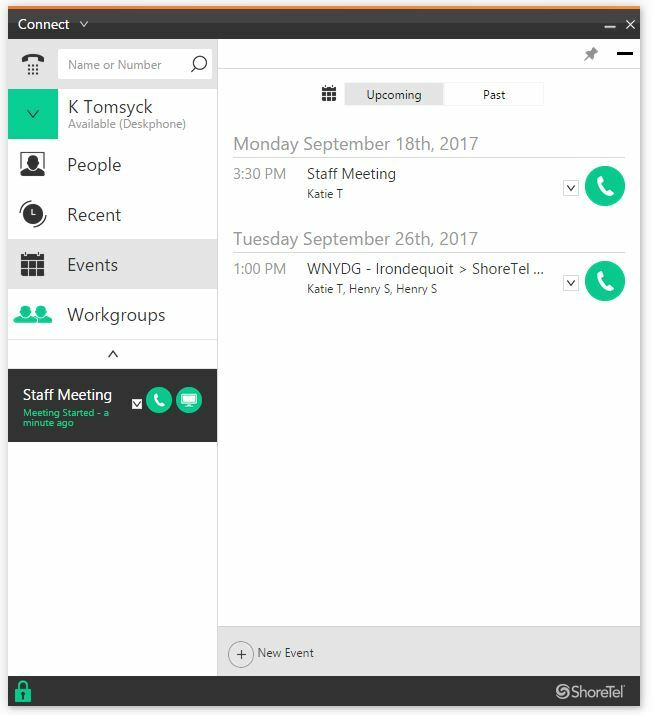 For more information contact your phone system administrator. The Events panel displays your Microsoft Exchange calendar meetings filtering separately by upcoming and past events. Clicking on an Event, opens the individual event panel and displays additional meeting information including location, recurrence and participants. 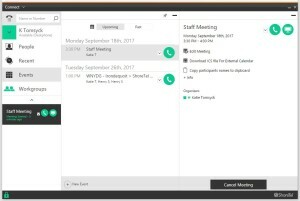 As in the Event notification, you may see dial in and join meeting buttons. 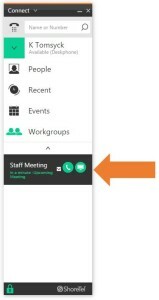 These buttons automatically dial you into the events conference bridge and allow you to attend the meeting screen share in the connect client itself if conferencing information has been provided. 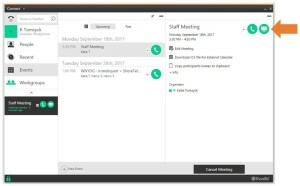 This entry was posted in Connect Tip of the Week, Education, Technology and tagged Aurelius Solutions, AureliusVS, Education, Events, ShoreTel Connect Client, Telecommunications, tip of the week on September 18, 2017 by Katie Tomsyck.